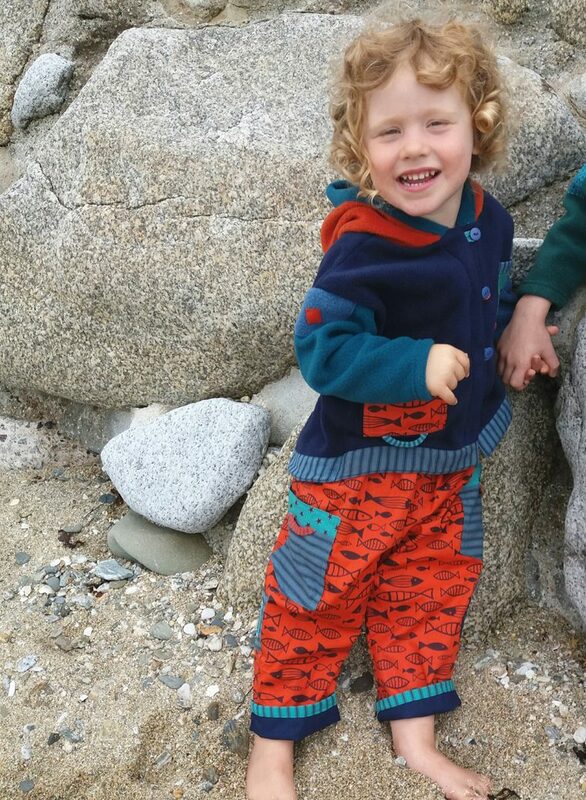 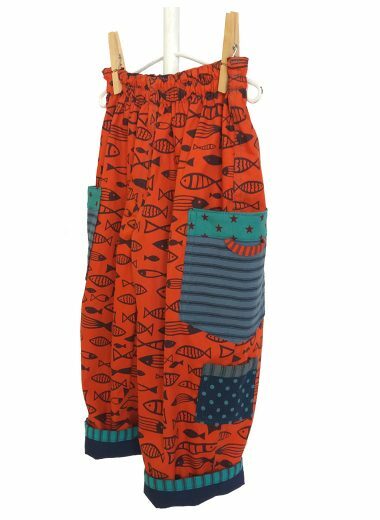 Vibrant, fun orange fish print cotton trousers, with two big practical pockets, and decorative little stripey stretch loops. 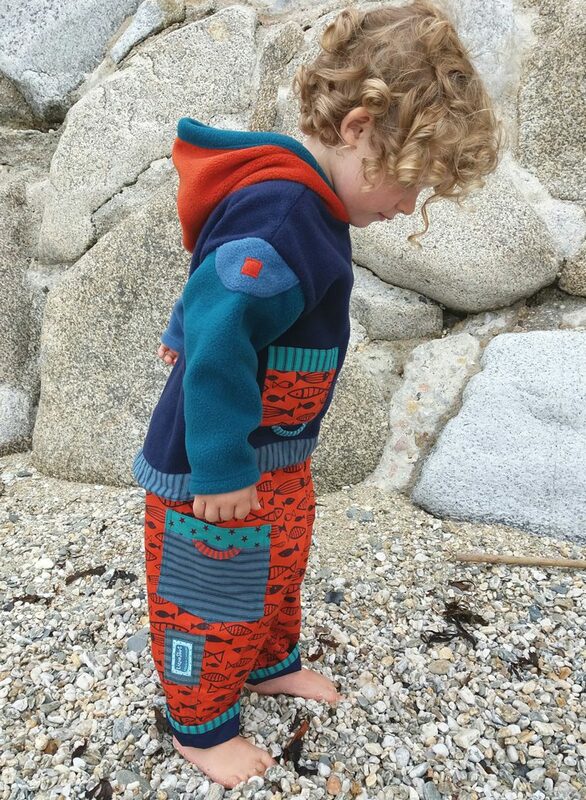 There is a third little secret leg pocket on one side, and an applique patch on the other. 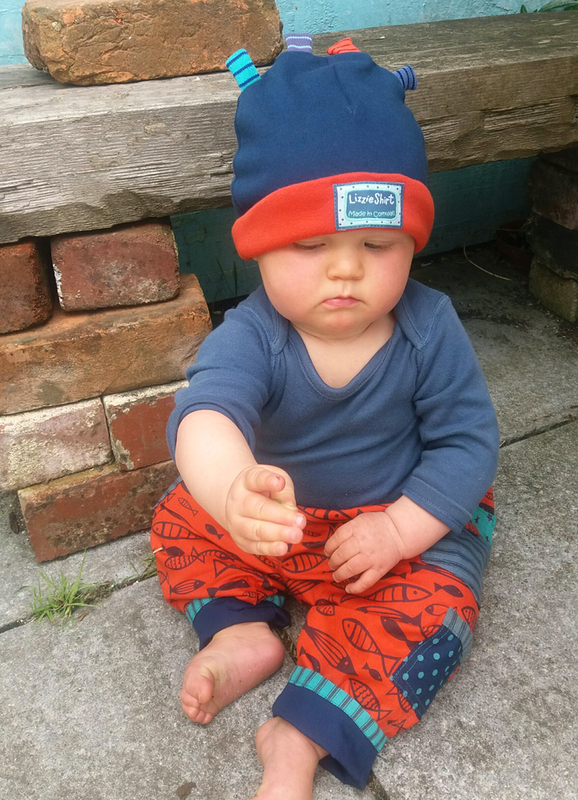 Designed to be baggy and comfortable. 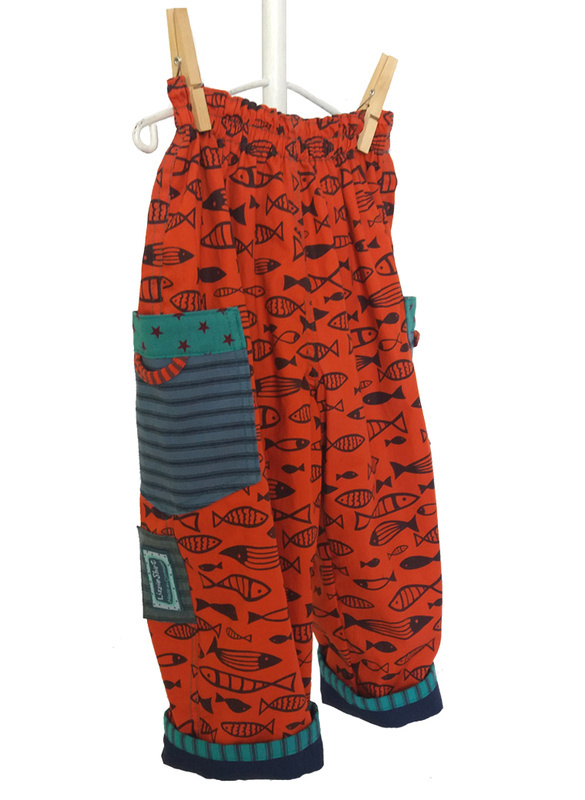 These trousers are fully lined in navy cotton and have an elasticated waist and turn-up leg for longevity. 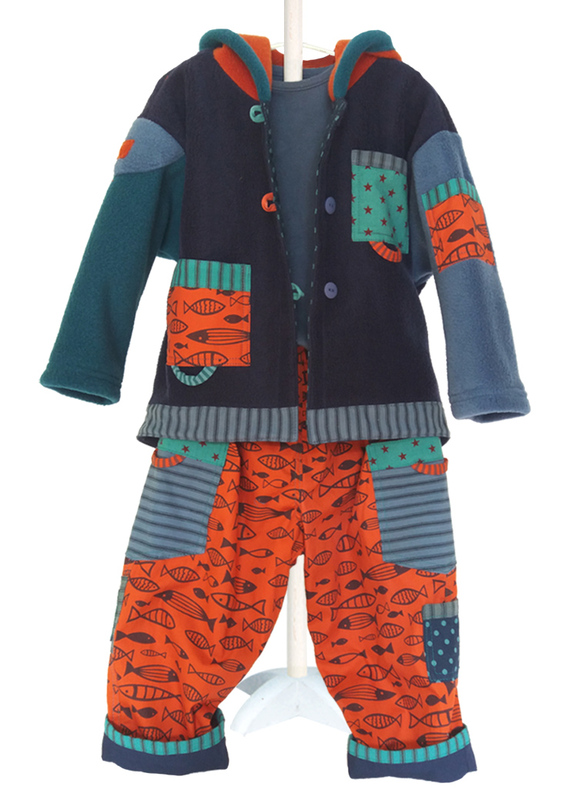 Available in 4 sizes, from 6 months to 4 years.